On September 14, Chinese human rights defender Ms. Cao Shunli (曹顺利) was preparing to travel to Geneva in order to attend a human rights training programme and observe a session of the Human Rights Council when police detained her at Beijing Capital International Airport, and she disappeared into custody. 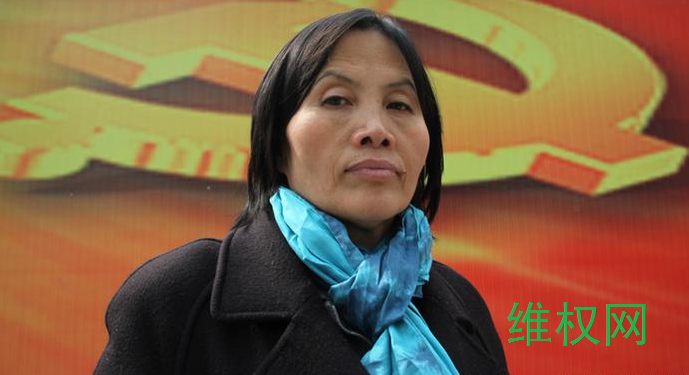 Held at Chaoyang District Detention Center, Ms. Cao was subjected to cruel and inhumane treatment. Her health degenerated and she became gravely ill. She was denied adequate medical treatment. When she was taken to a hospital, it was too late: Cao Shunli died of liver complications and other organ failures on March 14, 2014, at a Beijing hospital. Her death shocked the world, exposing the extent of the Chinese government’s harsh reprisals against civil society activists. Many democratic governments, human rights INGOs, and others expressed their sadness at her death and condemned the Chinese government for its mistreatment of Ms. Cao. Mainland Chinese activists, lawyers, and Ms. Cao’s family have pushed for remembering and honouring Cao Shunli, and called on the government to allow for an independent third-party to investigate the circumstances of her death, with the view of holding officials accountable. However, the Chinese government has so far done nothing to investigate the allegations of official reprisal against Cao and her mistreatment at the detention facility, and to seek responsibility, or to allow an independent investigation. In order to ensure that the world and history remembers Ms. Cao Shunli, to make a lasting tribute to her, and to inspire more efforts to push to advance the cause of human rights protection that was her devotion, including putting an end to government reprisals, suppression and persecution of human rights defenders, three Mainland Chinese human rights groups: Human Rights Campaign in China (权利运动), Civil Rights & Livelihood Watch (民生观察), and Rights Defence Network (维权网) take the joint initiative to launch the Cao Shunli Memorial Award for Human Rights Defenders. The Cao Shunli Memorial Award aims to commemorate Ms. Cao Shunli, so her life’s story will inspire generations to come, her dreams will live on, and her work for the promotion and protection of human rights will be carried on. Every year on March 14, “Human Rights Defenders Day,” the Cao Shunli Memorial Award will announce the recipient of the award. The awardee will receive sixty thousand RMB yen in funding to conduct human rights advocacy activities, in particular, to push for civil society participation in international human rights activities and monitor the government’s implementation of its constitutional and international obligations to respect and protect human rights. Cao Shunli became a “petitioner,” someone who approaches the government to lodge personal grievances and seek remedies. Initially, she petitioned over her own grievances and then quickly became involved with other petitioners. She realized the magnitude of human rights violations in China. She and others sought to raise a collective voice for petitioners but found themselves stonewalled, shut out, silenced, or worse, such as being locked up in “black jails,” illegal and makeshift detention facilities. In 2008, Cao learnt about the UN rights-monitoring mechanism the Universal Periodic Review (UPR). China was coming under review for the first time in February 2009. Cao became determined to use UN human rights mechanisms and push China to include genuine civil society voices. Her advocacy in this area for the next four years led to severe government reprisals, including two stints in Re-education Through Labor (RTL), repeated harassment, detentions and ultimately her death. On September 14, 2013, Cao Shunli was taken away by authorities at Beijing Capital International Airport as she was on her way to Geneva. Cao was held incommunicado for five weeks and her relatives were reportedly threatened to keep quiet until after China’s review before the Human Rights Council. On October 21, a guard at Chaoyang District Denteion Center leaked that Cao was being held there, and she wasn’t allowed a visit from her lawyer for another week. Her lawyer immediately reported that Cao looked frail and needed medical treatment, and submitted a bail request on medical grounds. Cao’s health deteriorated at the detention facility, as she was given inadequate medical treatment and authorities repeatedly denied applications for medical release. She had contracted tuberculosis and had a liver condition, which had been managed in the past. But these conditions worsened and began causing ascites, or swelling of the abdomen, and she also developed uterine fibroid tumors and cysts. On February 17, Cao was taken in critical condition to the intensive care unit of a Beijing emergency center. She subsequently lapsed into a coma and was moved to Beijing 309 Military Hospital on February 20. Tragically, Cao Shunli passed away on March 14, 2014.